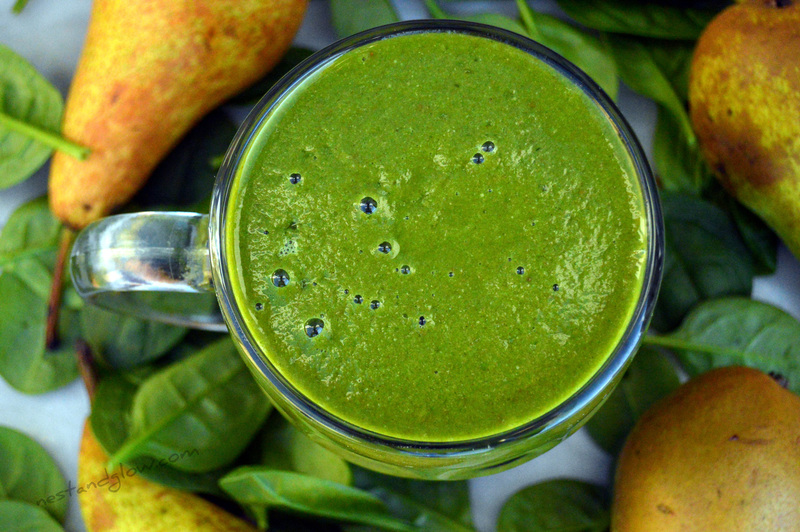 Easy recipe for a hemp protein smoothie with added pear, banana and spinach. 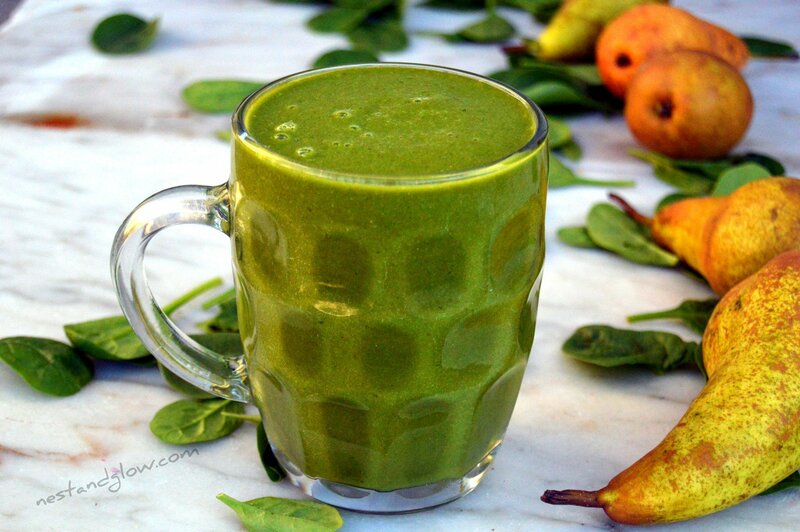 This cheap and delicious smoothie is a complete meal in a glass and has that earthy green colour that just looks like it will do you good. The added fruit makes this smoothie sweet and palatable. Hemp protein does have a strong earthy flavour that many people struggle to have on its own. But the earthly flavour works well with pears and almonds to make a delicious drink where you don’t notice the hemp. In this recipe, I use ground almonds / almond flour rather than hemp milk as its cheaper, more nutrition and shop almond milk often has very little almonds. 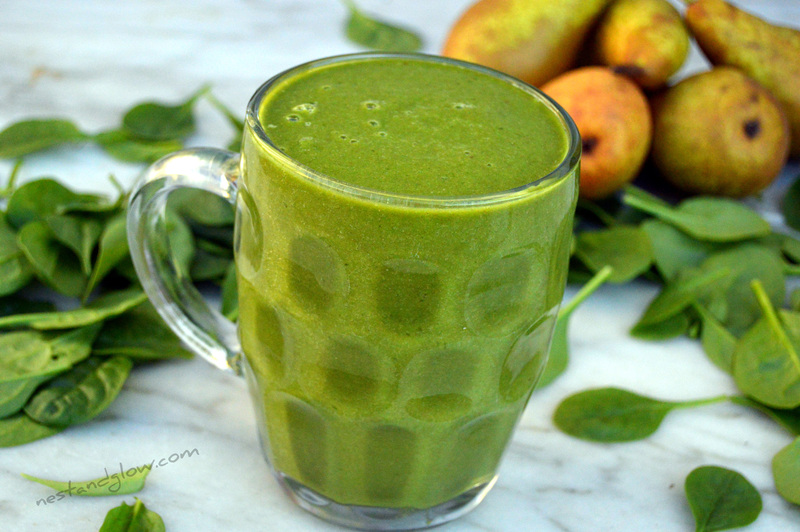 This smoothie has it all – 2 portions of fruit, 1 portion of leafy green veg, healthy fats from almonds and the hemp. It’s a great drink to have in the morning and give you everything you need to last until lunch. Put everything in the blender, I usually put the spinach furthest away from the blade as its the hardest for it to break down. Blend until smooth and drink immediately. If you’re following a vegan / plant based diet you really don’t need that much protein and it’s easy to get from whole foods like beans, pulses, nuts and seeds. Additionally, all food contains protein so even the small amounts in fruit and veg do add up over the day. However, hemp protein is a great way to add more protein into your diet as its 30-50% protein and is made from milling hemp seeds to remove the fat. 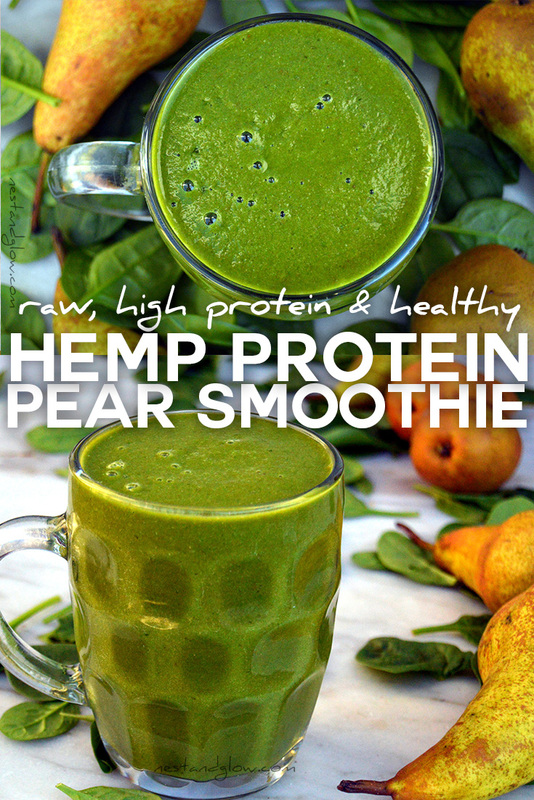 Hemp protein is usually raw as its cold milled. Hemp is also a great food for vegans as it contains all the amnio acids (the building blocks of protein) that the body can’t produce its self, this is often called a complete protein. If you’re not in a rush I would recommend to chew each mouthful of smoothie rather than just swallowing. This may sound strange but some studies have shown this helps to absorb more of the nutrients and keep you fuller for longer. Some recommend chewing 20 times and that sounds a bit excessive, others say until it starts to warm up. I usually manage 4-5 and that’s enough for me. It’s best to pulse a few times to blend the smoothie if it’s going to be sat around for a bit or you will drink it slowly. This is as it helps to prevent oxidation and reduce the rate the nutrients in the smoothie degrade after blending. Ten quick bursts on pulse should be enough to blend and mix everything.